Do you find yourself wishing you had more time in your day? Do you reach the end of the day feeling like you were “not enough”? Do you find yourself feeling worn down and without the energy to do things that really matter to you? Do you have hopes and dreams that haven’t become reality? I can help! Let me come alongside you as a partner. 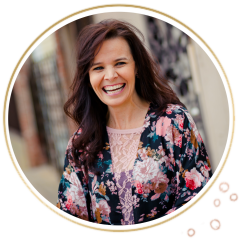 As a certified Christian Life Coach, I have equipped over 160 women to walk in an abundant life from God’s perspective and I am confident this 5-week online coaching course can help you satisfy your craving for time. Private 6 month access to 5 video teachings. A Values Inventory that I will personally assess. You will then be sent a customized report of my observations ($65.00 value). Coordinating printable worksheets to support you in each week of the course. What I Hope For you? I hope you will feel confident in making choices based on who God designed you to be and how He uniquely knit you together. I hope you will be able to feel at peace in how you have spent your day, no matter how much is left unchecked on your to-do list. I hope you will release your time back to the one who made it: God. Clear and organized communication from me. Teaching sessions to be grounded in prayer & biblically based. Me to be real with how I have battled against the ticking clock and have learned to live into a day with fewer to-do’s on my plate. Once you have made the choice to sign up and register, you will receive a Welcome Packet in 48 hours. This packet will include all the information you need to get started. Ready to get started? Make the investment below. I absolutely love the work I get to do one-on-one with women as their coach, but I also understand that it isn’t realistic for everyone. Online, video-based coaching allows you to be coached at your own pace, and when it is most convenient for you. It is also more affordable for those of you who desire coaching but can’t fit it into your current budget. The cost is equivalent to 9.5 Starbucks drinks, and I promise this has zero calories attached. While online coaching will never replace one-on-one coaching, my prayer is that it will come in as a close second.